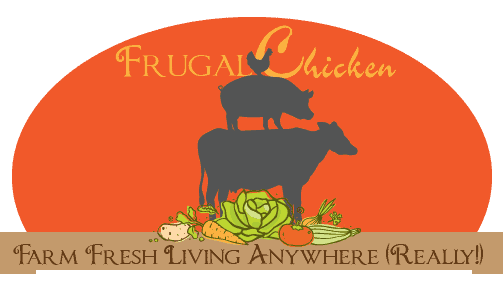 You are here: Home / Our Animals / Chickens / How Do I Add A New Chicken To My Flock? 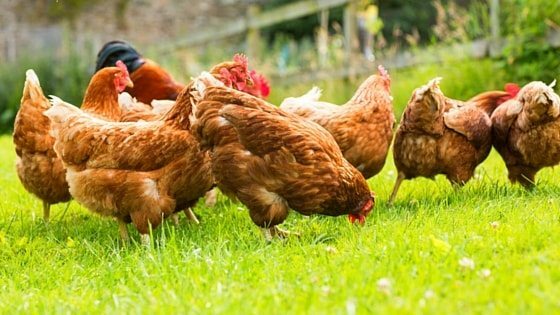 How Do I Add A New Chicken To My Flock? “How do I add a new chicken to my flock?” is probably one of the most frequent questions I get. Luckily, it’s a pretty simple 3 part process. Although we have a closed flock, meaning I don’t frequently integrate new chickens into my existing brood of layers, I occasionally do get a new chicken every now and then. I’ve managed to add a new chicken to my flock successfully, and with these tips, so will you. It’s important to follow each step, even though they can be tedious. How do I introduce new chickens to each other? Q&A Time! This is possibly the most important step you’ll take in the integration process. Even though it can be annoying, and it adds an extra step or two to your day, if your new chicken ends up sick, you’ll be glad you did it. Nothing is worse than having your existing flock get sick because a newcomer had an upper respiratory infection that developed after you brought her home. Sometimes, it can take a couple weeks before symptoms of a chicken illness show up. After two weeks, I’m usually in the clear, but I still keep them quarantined for an additional two weeks to be sure. The times I ignored this advice, I regretted it. Last year, I brought some chicks home from a feed store, thinking because they were day olds, it would be okay. The chicks quickly became sick, and I lost a few baby chicks I bred myself. READ NEXT: IS MY CHICKEN SICK? So, now, I just keep everyone separate for 30 days when I add a new chicken to my flock. I feed and water the new chickens last, so I don’t spread any germs to my flock, and use dedicated chicken feeders and waterers for my quarantined hens. I use a separate, smaller, coop that can house 3 or so chickens. If I need a larger space, I use one of my greenhouses. You can keep your hens in your garage, or wherever is convenient for the 3 days. As long as they have access to food, water, and some sun, they will be fine. Consider offering them a probiotic or raw apple cider vinegar in their water. They might be stressed from the move, and the extra beneficial bacteria will help them deal with any physical stress they may experience. You might also want to offer them a dust box with a diatomaceous earth in it. It’s possible your new flock mates might have a mite or lice infestation; the diatomaceous earth will help with external parasites. If you do offer them diatomaceous earth (DE) to roll in, it should be combined with dirt, and offered in a well-ventilated area. DE is comprised of fine particulates, and since chickens have delicate respiratory systems, it can cause issues. However, offering it in a well-ventilated area, such as outside in a run, is fine. Observe if they show symptoms of being sick. Look for runny noses, goopy eyes, coughing. Are they pooping? What does the poop look like? Are they eating and drinking regularly? Practice good biosecurity – wash your hands with hot, soapy water before handing your existing chickens. Scrub your hands under hot water for 30 seconds to get off as many germs as possible. READ NEXT: SHOULD I MOVE A BROODY HEN? Essentially, this is just a way for the chickens to see each other without being able to touch each other while they sort out their pecking order. While I’ve only ever had minor scuffles with chickens, I’ve had quail be extremely rough on new comers, so this is a pretty important step to take not just to keep your flock from stressing, but for your own sanity. I leave chickens in the Hello Box for just a day or two. It also lets me observe if there will be any issues once they’re released. We integrated 3 roosters at one point, and came to realize that one rooster was just never going to fit into our flock. There was something wrong with the rooster; he would not stop fighting, even if it was feed time. He just kept baiting rooster after rooster (we have a few roosters in our flock that all get along). Not a healthy situation for anyone. Luckily, the Hello Box allows me to catch this type of drama when I add a new chicken to my flock before it results in bloody chickens. The reality with chickens is that there’s going to be some level of pecking order drama when I add a new chicken to my flock because that’s how they figure out their social order. In any flock of chickens, there’s a dominant chicken (if you have a rooster, he’ll likely be it), and everyone has their place. Typically, older chickens will dominate over younger chickens. The pecking order is established by pecking, chasing, fighting, flogging each other, and pretty much any other thing they can do to sort out who is more dominant. I’ve even seen dominant hens thump chests with less dominant (but saucy) young roosters, so establishing a pecking order is not limited to roosters versus roosters or hens versus hens. Usually, they sort through this phase pretty quickly and move on. After a couple days in the Hello Box, if everything looks like it’s going smoothly, and my existing flock doesn’t have their noses out of joint too much over the new comers, I let the new chickens out of the Hello Box. There will still be pecking order drama, but hopefully, they sorted out a lot of it while everyone was still separated safely. When you integrate everyone, it pays to make sure there’s enough room for all your chickens in the coop (ideally, you would have sorted this out before bringing home new chickens). Overcrowding will stress them out, and make establishing a pecking order more stressful. When I add a new chicken to my flock, I like to make sure there are places for the new comers hide if some hens become aggressive. You should make sure the established flock is not keeping the new chickens away from the food and water dishes. Put out more feeders and waterers to make sure everyone can get to the food and water. Luckily, we’ve only had minimal problems integrating new chickens into our established flock using this method. Our top rooster is an easy going guy that’s the well-established king of the flock, and with his gentle guidance, we’ve not had problems integrating either new roosters or hens into the flock (and he especially seems to love new hens). Do you still wonder “How do I add a new chicken to my flock?” Leave a comment below! “How do I add a new chicken to my flock?” is one question I get. It’s a simple 3 part process you need to get right to prevent injuries and illness. The 4th and final step is to release them from the Hello Box at nighttime when all the hens are on their perches. I slip the new comer onto the perch next to others and the morningtime seems to find integration so much smoother.